Researcher Rebecca Hunter worked from 1997-2004 compiling a list of the Sears houses in Elgin. She did a complete architectural survey and managed to authenticate many of them. 332 River Bluff, Elgin. For many years this was the only Sears house that anyone knew about in Elgin. Photo from Realtor site. 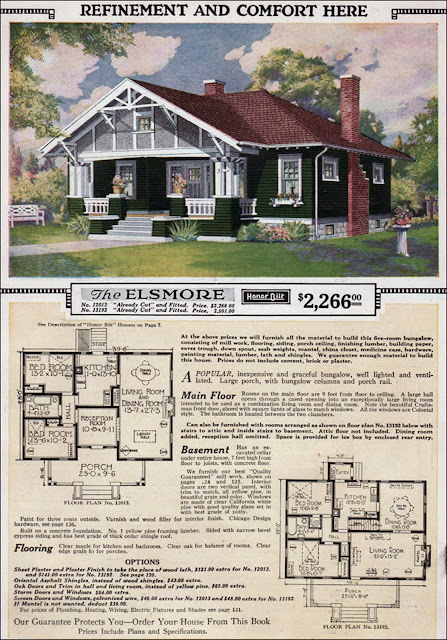 A new website was recently launched that enables you to check out Elgin's Sears houses. www.elginbungalows.com, created by Elgin resident Steve Stroud, showcases the thousands of bungalows in the city, including the Sears houses. Why does Elgin have so many Sears houses? Hunter believes that there are three reasons: 1. Elgin was serviced by three major rail lines so the shipments from Sears were convenient for the homeowners to pick up; 2. Elgin was located near the Sears company headquarters in Chicago; 3. 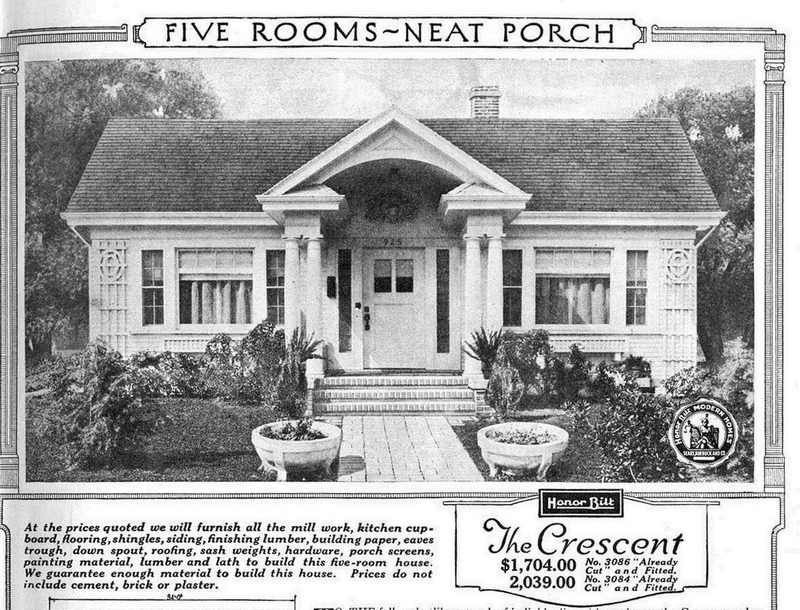 Neighbors in Elgin who built Sears houses recommended Sears to their friends, who in turn built more houses. I don't agree that those reasons make Elgin unique. Wouldn't they also apply to almost every Chicago suburb? They were all geographically near one or more train lines and near Sears headquarters. And I am sure Sears customers in every town would mention how much they loved their houses to their friends. I think the reason that Elgin currently has more Sears houses than anywhere else is a simple one. Teardowns. In the Chicago area, the teardown phenomenon started in earnest in the 1990's. 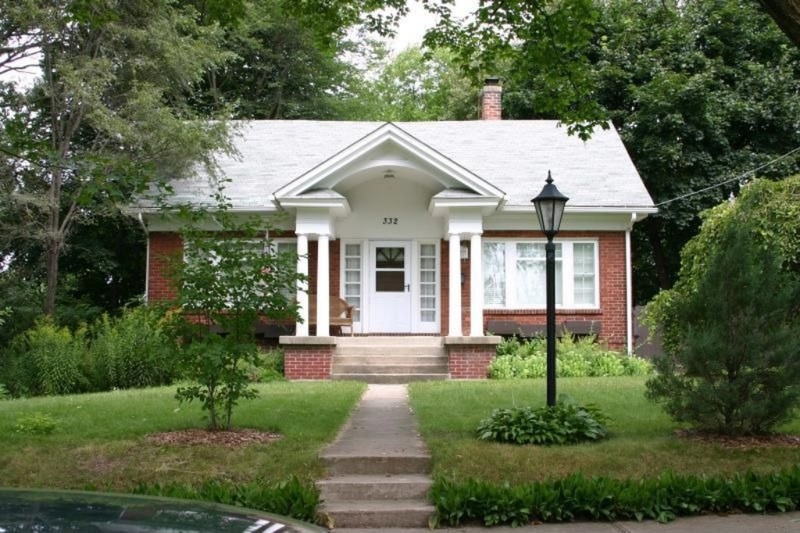 Western suburbs like Glen Ellyn and Hinsdale lost hundreds upon hundreds of old homes. Hinsdale to date has replaced almost 20% of its housing stock and the teardowns continue. Glen Ellyn and Hinsdale have high median incomes, easy commuter access to Chicago, little vacant land on which to build, and terrific schools. A typical street in Hinsdale. Photo from Chicago Magazine. In contrast, Elgin is a less affluent community and did not experience the teardown phenomenon. I recently drove around Elgin for about an hour and saw one teardown. If you drive one block in Hinsdale or Glen Ellyn you might see 10. In Elgin, property values are not high enough where the value of the land exceeds the value of the structures on them. Glen Ellyn or Hinsdale (or Elmhurst or Park Ridge or Downers Grove or any of a dozen other suburbs) could have easily had 200 Sears homes at one time, like Elgin. We'll never know since many of their older houses were gone before researchers even began looking for kit houses. 664 Oak, Elgin. If this Sears house were in Hinsdale, it would be gone. I agree. The communities with the best collection of kit homes almost always fall in the sweet spot where land values aren't so high that they suffer teardowns but not so low that homes fall into disrepair. That really makes sense. In the area where I live, 4 communities bordering each other, that still have nice homes from the teens, twenties, and thirties, are now especially suffering from teardown fever. I shudder every time I walk by a bungalow or English cottage style house that is for sale, because I've seen all too often that they are bought, torn down, and replaced with McMansions. Great school districts and high land value apply to these towns, too. Yet, the majority of Sears mortgages that I have found, are for houses that are (or were) in these towns.